As is now tradition, I want to take this time to thank the people and organizations which made 2015 another fabulous photographic year! 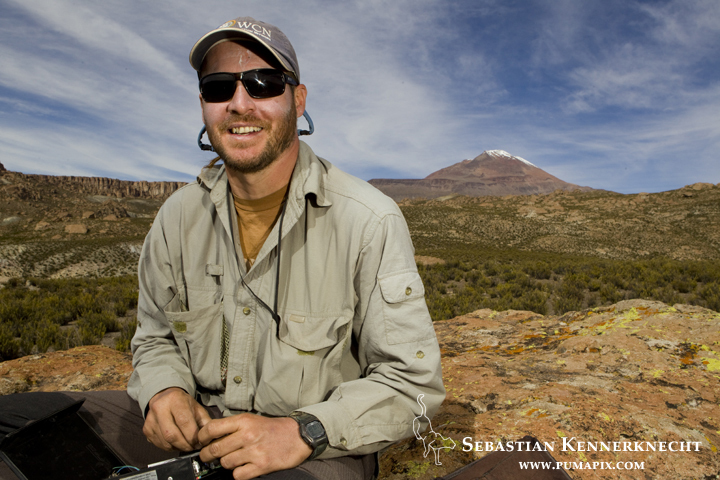 I traveled to both Bolivia and Argentina to initiate the first phase of the Cat in Thin Air project to showcase the endangered Andean Mountain Cat with concrete goals to help its conservation. My first stop was in Bolivia where I met the amazing team of Juan Carlos Huaranca Ariste and Alejandra Rocio Torrez Tarqui. Together they have eighteen years of experience working on the Andean Cat. 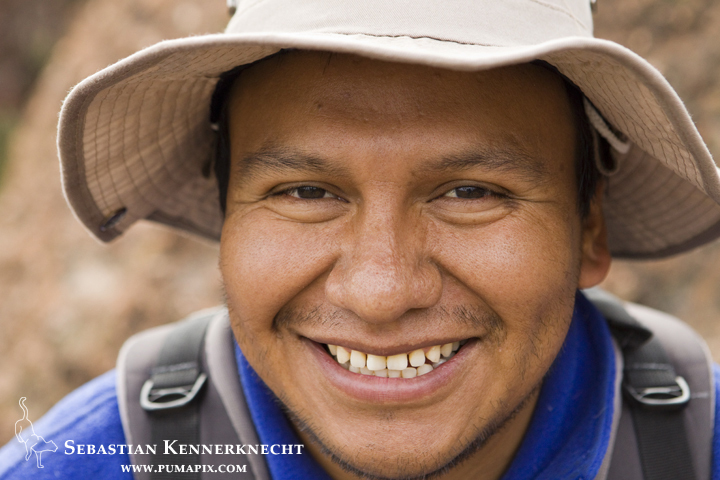 Juan Carlos focuses on the research aspect of the wild cat, while Alejandra leads the charge in doing the educational outreach in the region where the Andean Cat is present. Together, they are an unstoppable force, creating real conservation change for this cat. You can read more about them here. Due to your help, Ale and Junca, we were able to get a picture of a Pampas Cat in the high Andes of Bolivia. Thank you. Thank you also for constantly being ok speaking english, for being patient with me, for helping with logistics, for allowing me a glimpse into your world, and for your friendship. All the work that Ale and Junca are doing is overseen by Ma. Lilian Villalba. 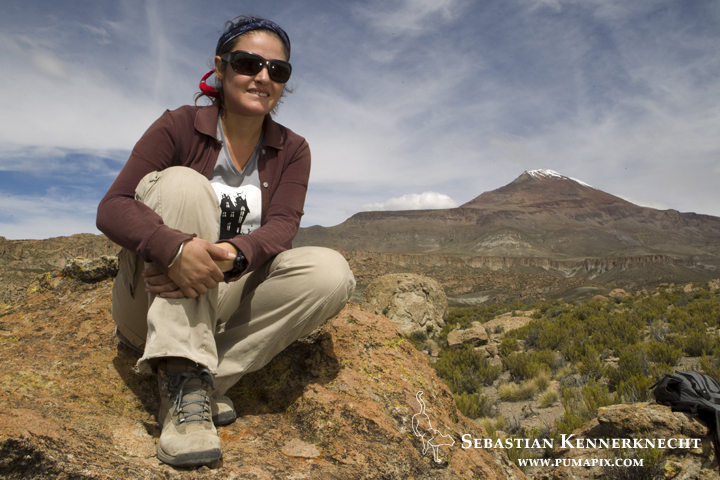 In fact, Lilian coordinates the research and conservation projects for all the Andean Cat Alliance projects within the four countries in which the Andean Cat lives. Additionally, she is also in charge of raising the capital needed for all of these activities. Finally, she had to deal with my logistics, including visiting two projects during a one month period. 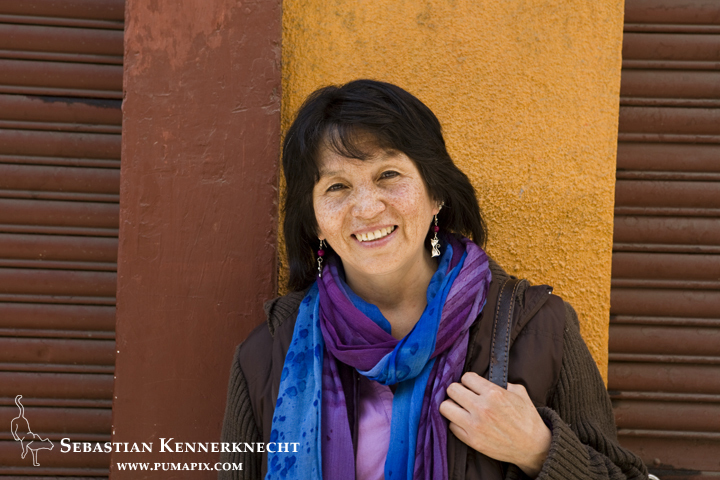 Thank you Lilian for your amazing strength and commitment to the Andean Cat. It needs a champion like you! 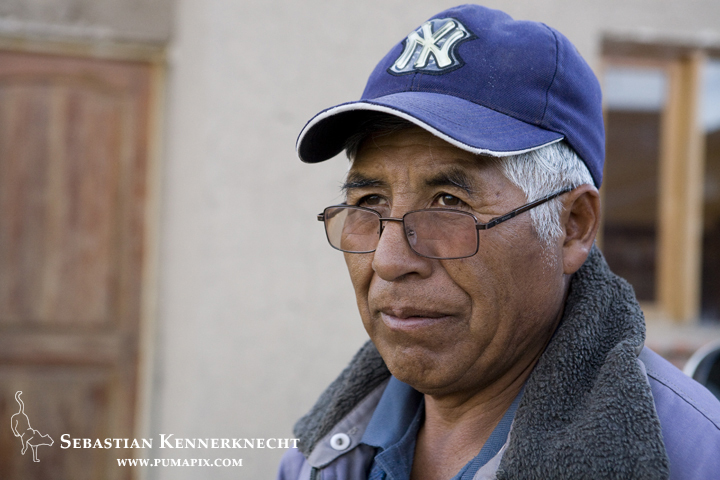 Thank you Don Mario Llusco for being an amazing guide through the labyrinth of the Bolivian altiplano. Thank you for helping me carry gear. Thank you for your smile. Don Rodolfo Apaza Chuquimia, thank you for your sturdy driving, for the amazing home-cooked meal, and for allowing us to crash in your beautiful house. From Bolivia, I went on to Argentina. There, I had the privilege of meeting a whole new group of simply amazing people. Juan Ignacio Reppucci, Cintia Tellaeche, Romina Matamala and Mauro Lucherini are all involved with the Andean Cat in one capacity or another. 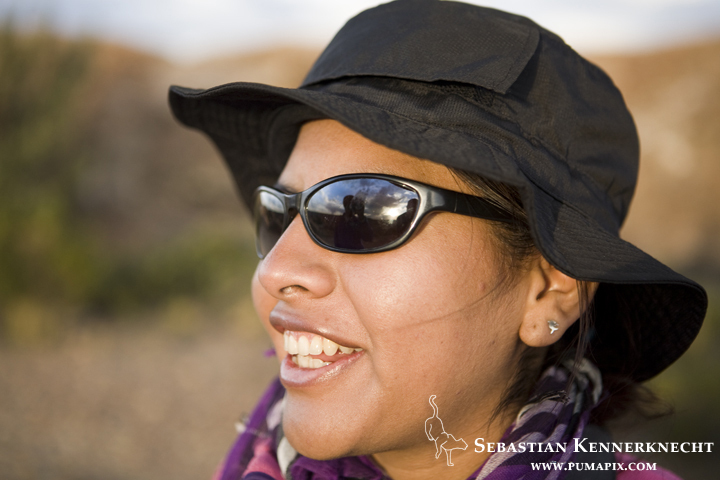 Juani and Cintia are the principal scientists of the ecological study they are conducting in Jujuy Province. They have been running up and down mountains to study this cat for a combined eighteen years. That’s a whole lot of miles and commitment. 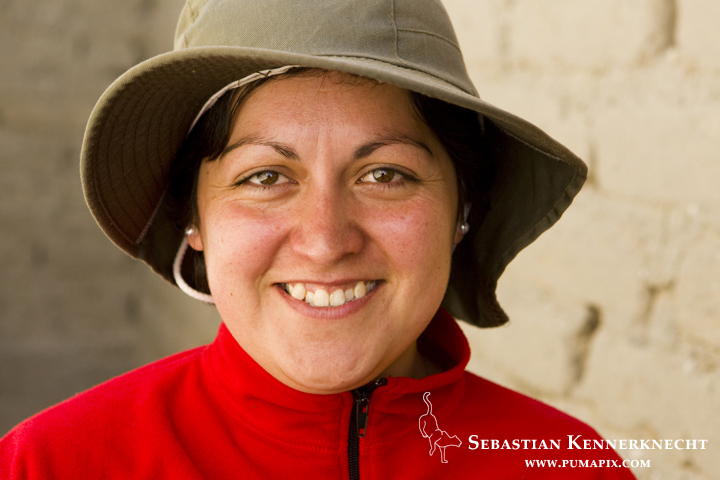 Romina is working to help the surrounding communities establish themselves as an ecotourism location, which will allow them to move away from mining as an income stream, which at the same time will help the Andean Cat re-establish habitat. Mauro oversees both of these projects and is constantly fundraising to make sure they can continue. Juani and Cintia, thank you for sharing your time, for allowing me to always point a camera in your direction, for the amazing conversations, for your friendship, for your honesty, for your helpfulness, and for your pure hearts. Romina, thank you for being ok with my obnoxiousness, for being a great sport, for your amazing cooking, and for your friendship. Mauro, thank you for the logistical support, for answering my questions, and for your visit to California. To all of you, the Andean Cat picture because exists because of our teamwork. Thank you! 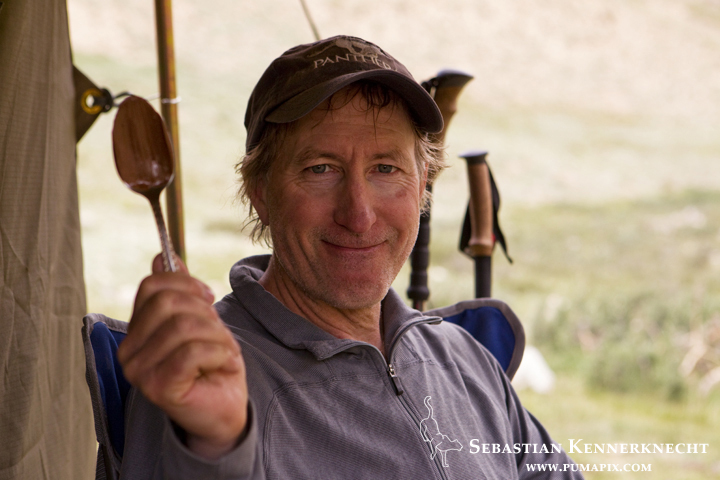 After South America, I traveled to Kyrgyzstan where I was sent to photograph Snow Leopards in the Tian Shan mountains. Now there is a very large team to thank for this project, so hang in there. 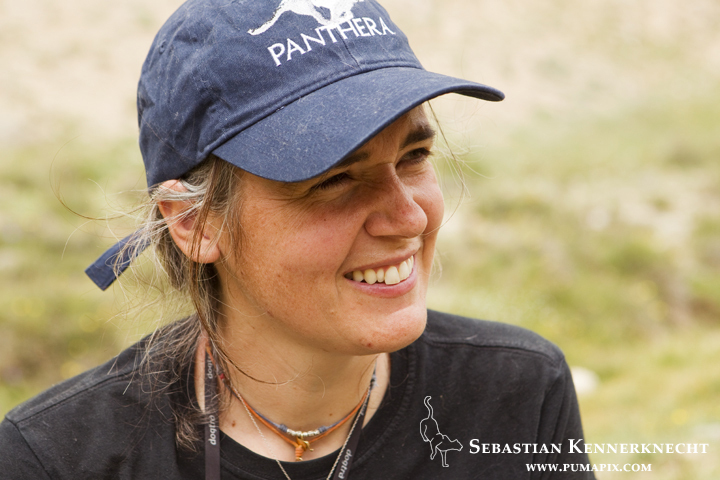 Tanya Rosen Michel is the snow leopard program director for Panthera in Tajikistan and Kyrgyzstan. Talk about a demanding job. I admire you for your continuous push Tanya, more snow leopards exist because of you. Thank you also for all of your help in making the trip a reality, for honest conversations over delicious dinners, and for fighting for snow leopards in central Asia. 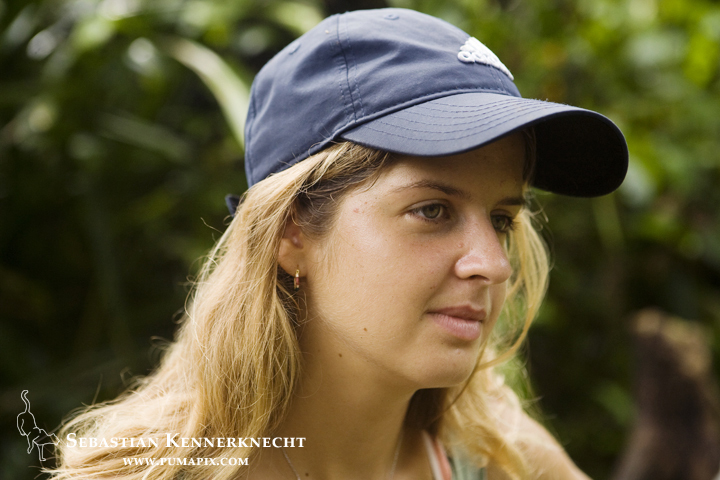 The principal biologist of the project is Shannon Kachel, who is a PhD student at the University of Washington. He is in the process of placing satelitte collars on snow leopards to determine more about their ecology, especially how it relates to wolves. Having had the privilege to see what his work constitutes, all I can say is wow. Shannon, your persistence is admirable, your optimism is unwavering, your work ethic is constant. I am in true awe of you and I thank you for all of those things. 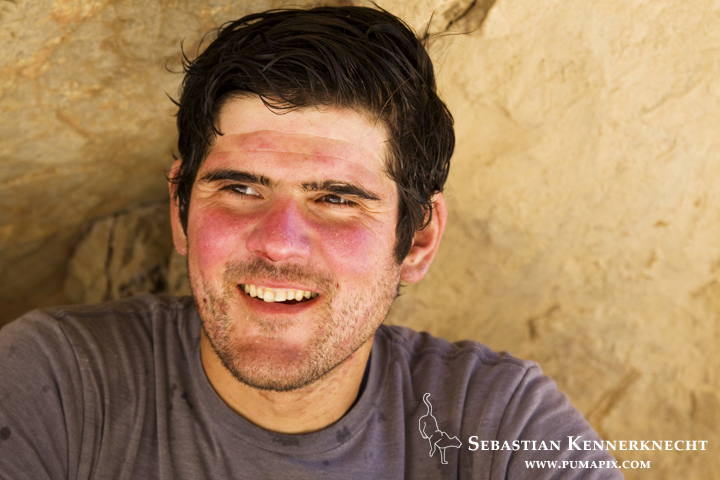 Thank you also for your friendship, for heartfelt conversations, and for stopping in California to go herping! Alongside Shannon was Khalil Karimov, a Tajik biologist who is getting his masters at the University of Vienna, in Austria. Khalil basically grew up in the mountains. He can tell you how long an Ibex’s horns are to within three centimeters (we tested this after collecting about twenty horns from already dead animals). He can spot a Marco Polo Sheep herd that is over 4 miles away. He runs up a 14,000 foot mountain as if it was childsplay. Khalil, simply put, you are amazing. Thank you for all of your help in the mountains, for helping carry gear, for camouflaging the sh*t out of the camera traps, for cooking up some mean dinners, for the brutally honest conversations, and most of all your friendship. Rana Bayrakcismith handles all of the logistics for all of the snow leopard projects that Panthera supports and runs in Asia. 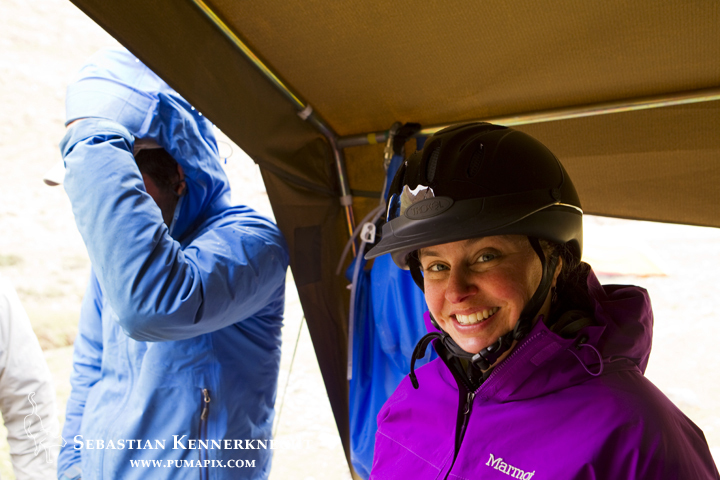 Even though she is primarily based in Seattle, I had the pleasure of meeting her in the field in Kyrgyzstan. Your love for cats (including domestics) is just awesome Rana. Thank you for our fun conversations, for nerding out on cats, and for answering all of my questions before the trip!! John Ochsenreiter is a vet mostly of your domestic dogs and kitties at home, but he was nice enough to volunteer his time in Kyrgyzstan to be in charge of anything medical related to the wildlife that could wonder into the traps. Thank you John for your commitment to the project! Thank you also for introducing me to more music and for cooking all that cream of wheat! Thank you Zairbek Kubanychbekov for playing chauffeur from and to the airport even though you had much better things to do. 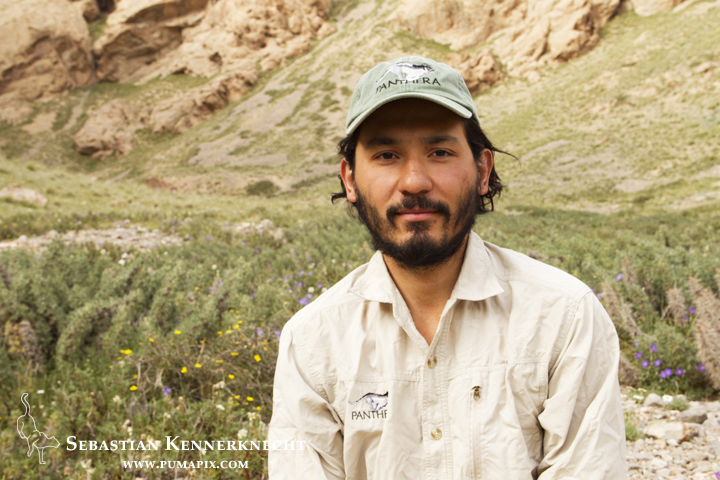 Thank you for caring about snow leopards and for your persistence in creating greater conservation change in Kyrgyzstan for snow leopards. 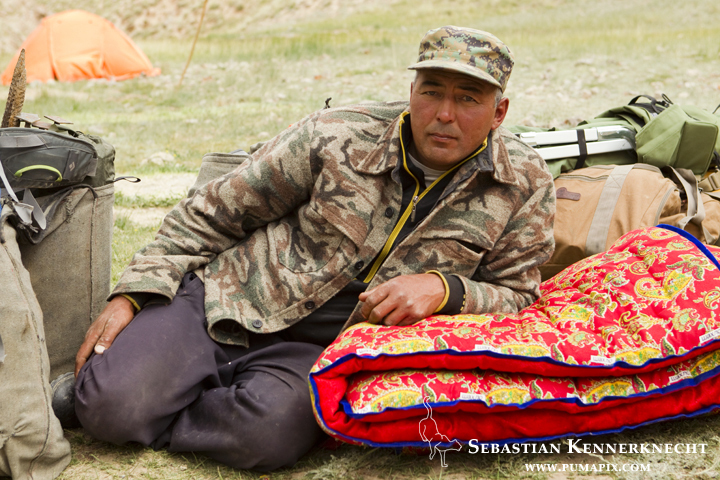 Ulan Toktosunov is an extremely skilled horseman and is a ranger in snow leopard country. Thank you Ulan, for letting me ride the horse “haircut”, for keeping me alive riding through the mountains, and for bringing us delicious food throughout the project. 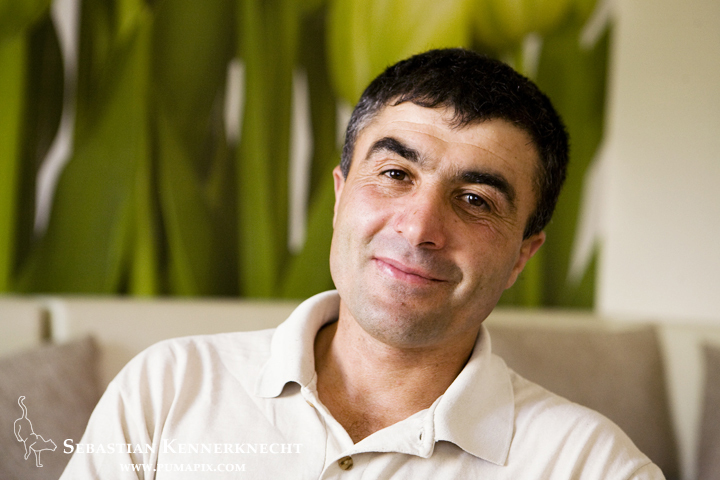 Thank you Munavvar Alidodov for being willing to converse in English and for fighting for snow leopards. The community based conservation you are involved in is not only protecting thousands of ungulates, it is in fact the reason those ungulate populations are expanding. After Kyrgyzstan came Costa Rica, where I worked with the Coastal Jaguar Conservation team, photographing you guessed it, jaguars that live on the coast. The team is led by biologists Stephanny Arroyo-Arce and Ian Thomson. 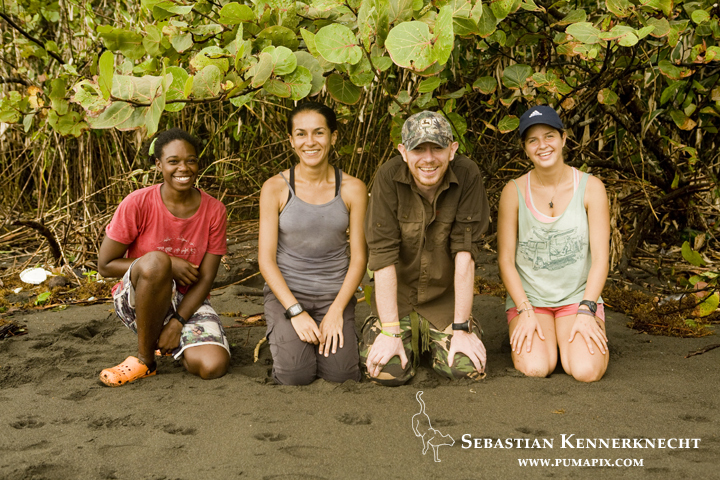 These two have been studying the Jaguars of Tortuguero National Park since 2012 and have published multiple scientific papers about the unique ecological processes that go on there. Most importantly, I have never met two people so caring about animal welfare. These two will not compromise the welfare of their study animals, period. It is something I deeply respect about them. Stephanny, your work ethic is second to none, your need for cleaning even more so :), and your love for Jaguars unquestionable. Thank you for your consistent dedication to these amazing animals. 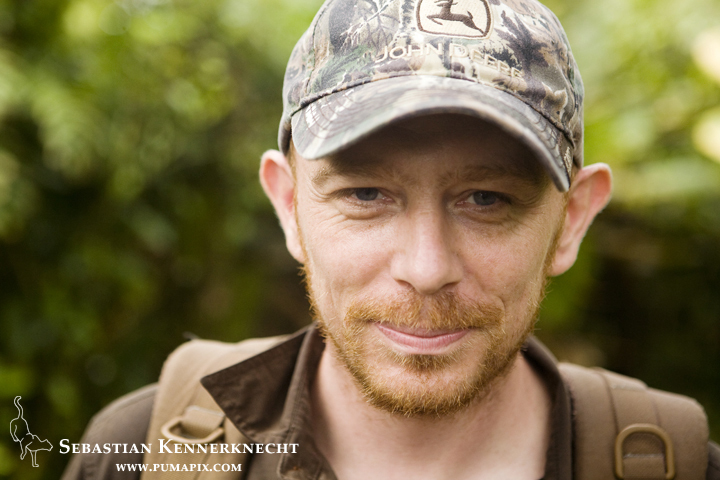 Thank you for allowing me to be part of the project, for always being willing to have your picture taken, for helping with the camera traps, for the great conversations, for caring, and for your friendship. 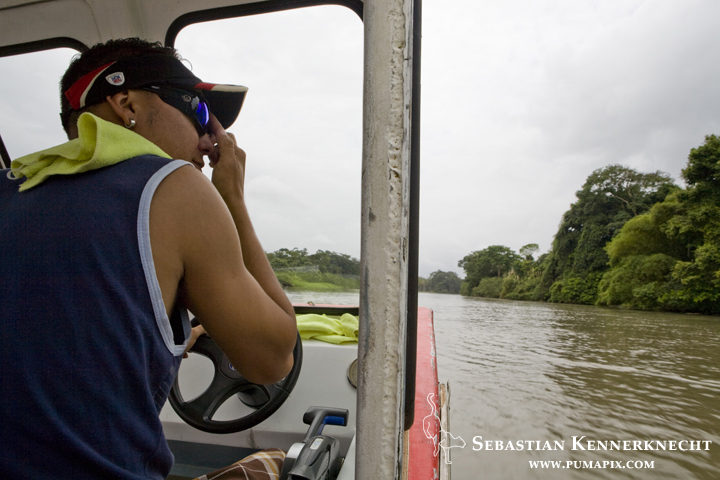 Ian, your humor and sarcasm are hilarious, and often needed in the heat of Tortuguero. Your dedication is as strong as Stephanny’s, and that’s saying something. Your knife and machete skills are inspiring, and your photography is stunning and jealousy inducing. Thank you for amazing conversations, for lending me the CF card, for clearing the crap out of the plants near the camera traps, and for your friendship. 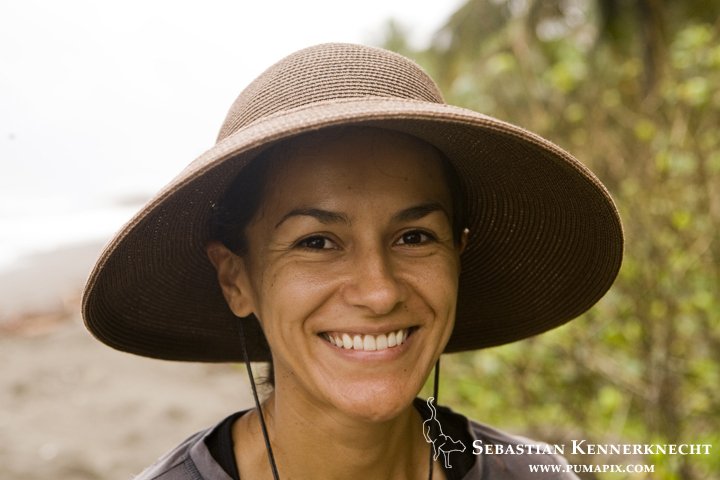 Thank you Eleonore Hachemen, for allowing me to take your picture and for your work with Jaguars. Taking down data can be tedious, but you obviously work hard at it and it will make a difference for the long term survival of the big cats. Thank you Jizel Miles for your very hard work you did on the project. Stephanny and Ian were quite proud of your work, and it was obvious why. I know you have moved on to caracals and leopards now, but all wild cats thank you for your dedication towards them. Also, a huge thank you for only turning your back sometimes when I aimed the camera at you :). Finally, thank you to Jorge Avella for the boat rides to and from the national park and keeping all the gear dry along the way! I am currently working a lot with the mountain lion biologists from the Santa Cruz Puma Project, and they too deserve their thank yous. Since the work continues though, I will thank them properly next year. Thank you to all of you for making 2015 not only a success, but a year filled with great memories! Like the last two years, I would like to thank the cat conservation organization Panthera. Their wild cat conservation efforts is simply unrivaled. The scope at which they work is seemingly overwhelming, yet they constantly are accomplishing conservation change all around the world. It is a true honor to have had the privilege to work together last year (and as always, I very much look forward to working together in the new year!). Please keep doing what you are doing; cats and people all over the world are thankful for it. To the general public, please donate to them, if you are in any way interested in cat conservation. 100% of your donation will go directly into the field! 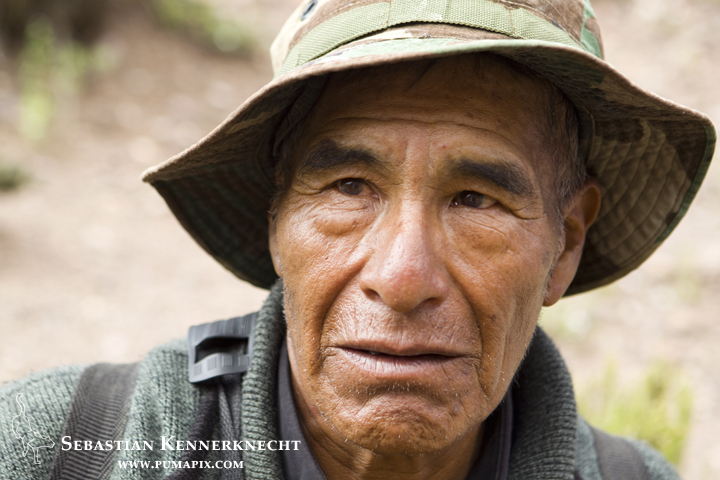 The Andean Cat Alliance is a multinational and interdisciplinary network founded in 1999 by professionals from Argentina, Bolivia, Chile and Peru to develop coordinated actions for the conservation of the Andean cat and its habitat. They aspire to the conservation and long term maintenance of Andean cat populations and its habitat, in harmony with human populations. 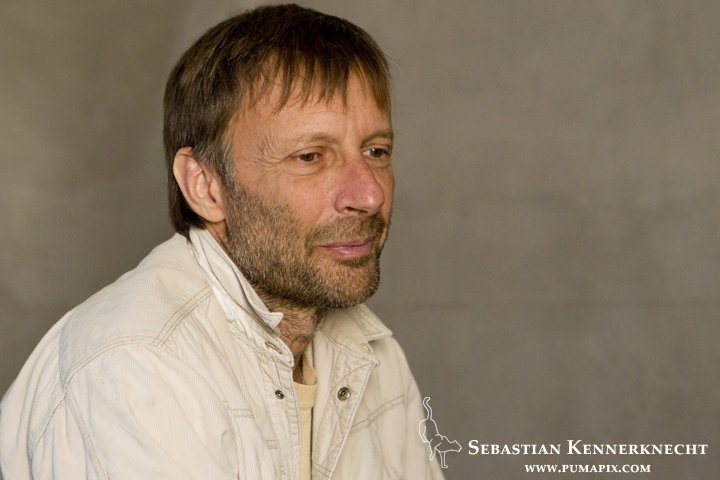 Thank you for allowing me to work with you and for continuously pushing conservation for the Andean Cat. Doing so on a shoestring budget makes it even more impressive! The Coastal Jaguar Conservation project was started in 2012 and aims to monitor the populations of jaguars and their prey species on the Caribbean of Costa Rica. In particular, it’s focus is on researching the unique behavior of jaguars predating on nesting sea turtles. Thank you for allowing me to work with you guys. I know having me join is a lot of extra work and I really appreciated how you never made me feel like a burden. Thank you for your work on these amazingly unique Jaguars, they will continue to need champions like you!